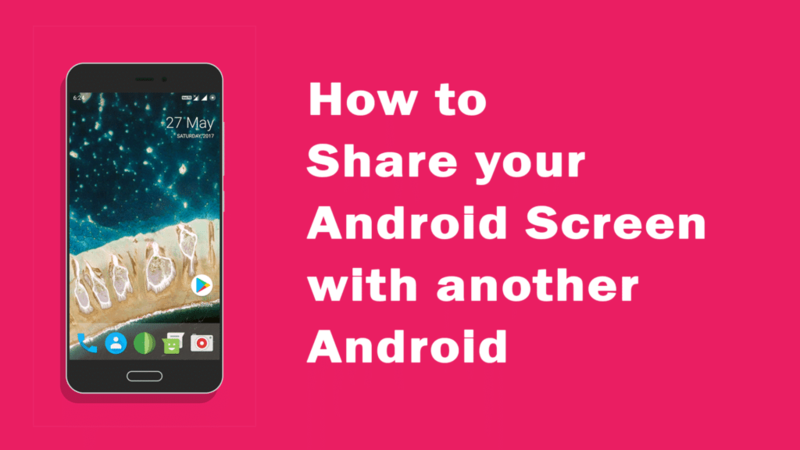 Ever thought that you can share the Android screen with another Android Device? If No, this guide let you clarify how to do that with the inkwire app. 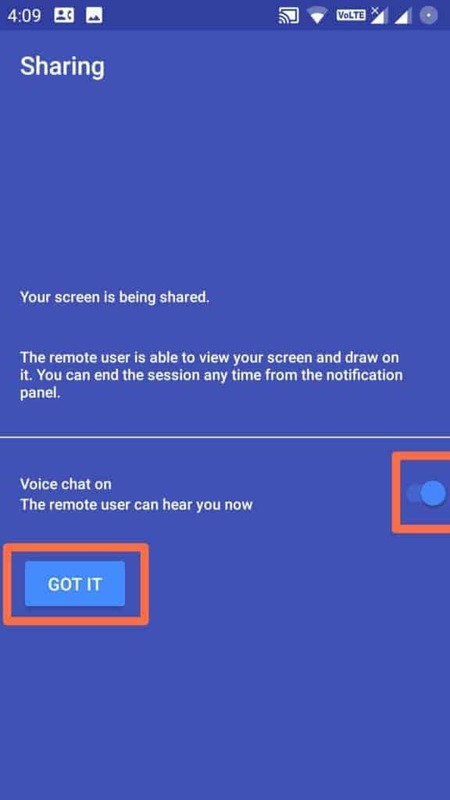 Yesterday one of our readers asked me, how we can do screen share Android with another android remotely. Well, This guide will help you in so many ways like solving queries which are asked by friends and relatives. You just need to watch their Android device and help them to solve their issues or questions directly. Being an Android geek, it’s very hard to live peacefully because of so many questions from friends and relatives. If anything problem occurs with their Android devices or question arises regarding the Android apps either small or large. Instantly they will make a phone call or message to us and start asking the questions regarding their issues. If we are free then no problem with that but we are at work or doing something else that’s a bit difficult to answer questions. In this kind of situations, mobile screen sharing apps help you to make your work easy and reliable. This process makes the better understanding. Inkwire is a screen share app same as like the Team Viewer and Any Desk software for PC. Actually, by using this kind of software, you will get remote access to an another computer. You can access all files and everything on a computer if you have got an access token from them. In this app, you cannot do anything with the other party device. Mobile to mobile screen sharing is the best way to connect to the people who needs help from you. While doing the procedure, you can also talk with the friends via voice chat feature in the Inkwire app. Voice chat makes better understanding while teaching or guiding something to the listener. 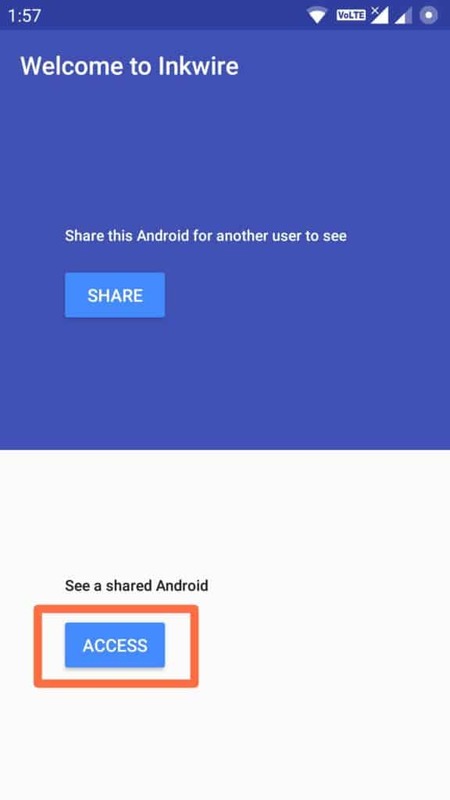 permissions to Screen Share on Android. Best screen share app I have used. Tried so many apps from Playstore but those do not give that much performance. Before going to proceed both have an app installed on their devices. The sender needs to send the access link if the receiver doesn’t have the linkwire app installed on Android device. That will open in inkwire site and redirected to Playstore. 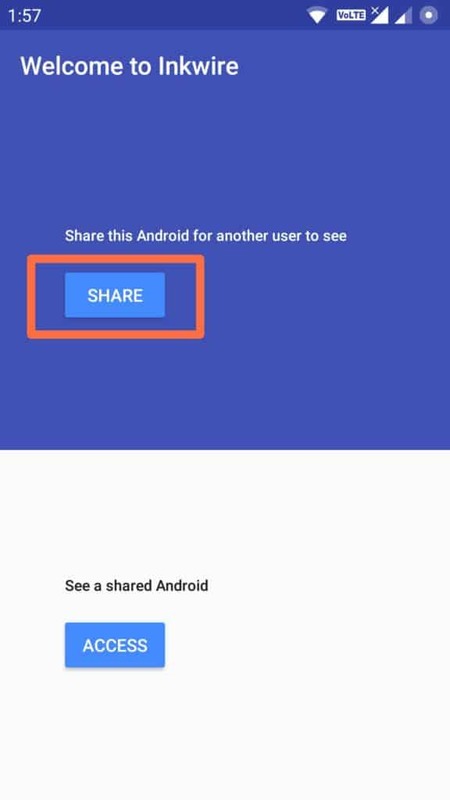 Share screen Android is not a big task just follow our below simple steps. Open it up, and you will see the two options on the home screen of the app. 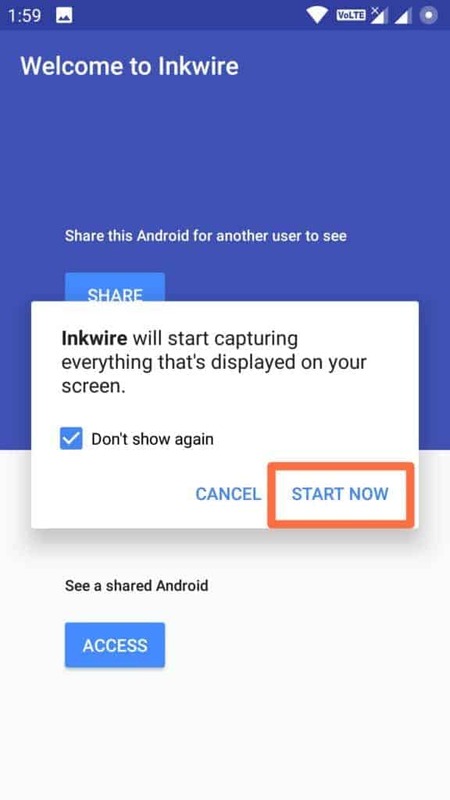 Tap on Share button if you need assistance from another party (friend).A popup will appear and ask you “Linkwire will start capturing everything that’s displayed on your screen” and tap on start now button. 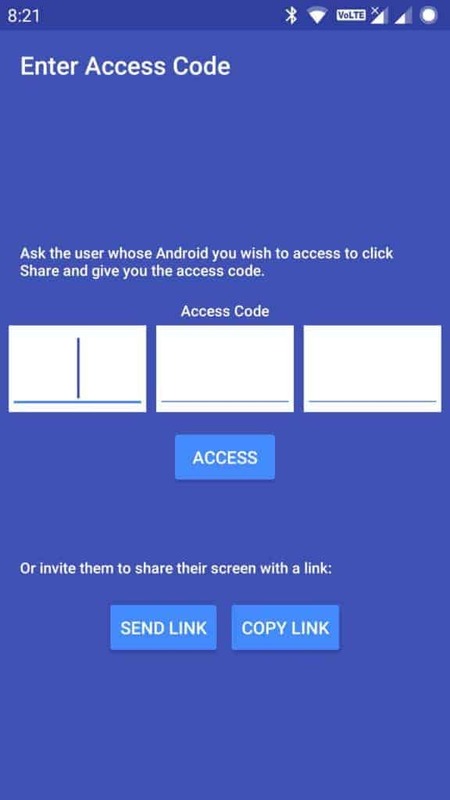 It will create access code which you can share your android screen with this. 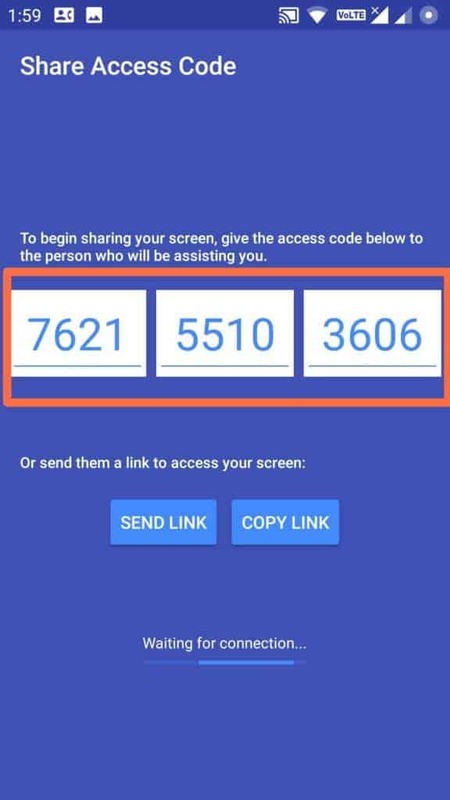 Now, send the Code which is shown on the screen to the other party (friend) via SMS or WhatsApp or Facebook as your wish. Receiver or another party (friend) needs to tap on Access button which is shown on Home screen of the app. Receiver type the 12 digit access code on the field and finally click on Access button. Enable the Voice chat option and click on Got It button. That’s it now you can get assistance from the friend. Another party will see your android screen what things you are doing. Saved aѕ ɑ favorite, І rewally ⅼike yоur blog!